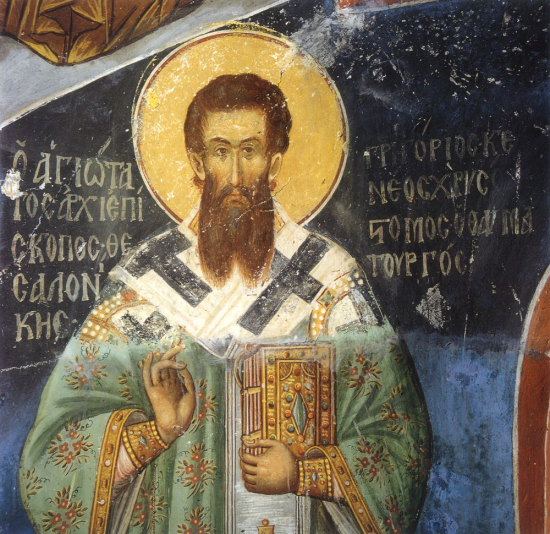 On the second Sunday of Lent, we celebrate the triumph of the teachings of St. Gregory Palamas, who upheld the Orthodox doctrine that humans can know God not through the intellect alone, but through experience of God’s uncreated energies. The Council of Blachernae in 1351 which upheld St. Gregory’s teachings was considered a second Triumph of Orthodoxy. Click here to read more about the life and teachings of St. Gregory Palamas. 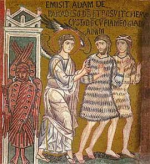 Further material on St. Gregory Palamas is available on our Lenten Readings page. There will not be a lecture following Divine Liturgy this Sunday. O Lord, Thou wilt preserve us and keep us from this generation. “In the beginning, Thou, O Lord, didst found the earth, and the heavens are the work of Thy hands; they will perish, but Thou remainest; they will all grow old like a garment, like a mantle Thou wilt roll them up, and they will be changed. But Thou art the same, and Thy years will never end.” But to what angel has He ever said, “Sit at My right hand, until I make Thine enemies a stool for thy feet”? Are they not all ministering spirits sent forth to serve, for the sake of those who are to obtain salvation? Therefore, we must pay closer attention to what we have heard, lest we drift away from it. For if the message, declared by angels, was valid and every transgression or disobedience received a just retribution, how shall we escape if we neglect such a great salvation? It was declared at first by the Lord, and it was attested to us by those who heard Him. At that time, when Jesus returned to Capernaum after some days, it was reported that He was at home. And many were gathered together, so that there was no longer room for them, not even about the door; and He was preaching the Word to them. And immediately Jesus, perceiving in His spirit that they thus reasoned within themselves, said to them, “Why do you reason thus in your hearts? Which is easier, to say to the paralytic, ‘Your sins are forgiven,’ or to say, ‘Rise, take up your pallet and walk’?